The International Centre for Computational Engineering (IC2E) is a ‘not for profit‘ organisation registered as an educational institution in the Aegean island of Rhodes, Greece. Following an initiative of Professor Gyan Pande of Swansea University, UK, the Centre has received support from a large number of internationally known experts in various branches of engineering sciences. It is well recognised that electronic media and information technology including high-speed internet is going to play a crucial role in the education and training of engineers, scientists and all professionals in the 21st century. As the speed and prowess of computers increase manifolds, the world is gradually becoming a global village where people can communicate, learn and work together whilst being located remotely in different parts of the world. This enables the knowledge and expertise of highly specialised academics, researchers and professionals being made available globally to the student community and professionals seeking to update their knowledge through continuing education. Planning and organisation of themed international series of workshops, mini-symposia, short courses on advanced topics of computational engineering as well as courses on emerging technologies of computer intelligence for professional engineers, researchers, engineering analysts and software developers to bridge the gap between science and engineering practice. Disseminating technical and scientific knowledge through publication of papers, course notes, books etc. in various soft and hard forms. Setting up highly focussed themed international seminars and webinars for exchange of views for the solution of problems in the specific areas of engineering sciences to address the global issues of impact of climate change on infrastructure. 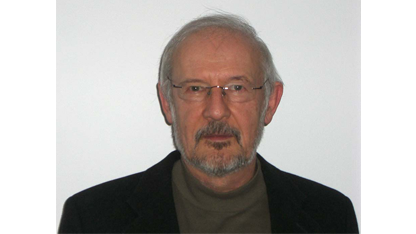 Professor Pietruszczak has been engaged in research and teaching at McMaster University, Hamilton, Canada, since 1983. He has substantial experience in formulation of constitutive relations for various engineering materials. Those include geomaterials (soils and rocks), structural materials (concrete, masonry, reinforced composites) as well as biomaterials (bone tissue). He has written over 100 technical papers on these topics. Over the last few years he has been involved in description of inherent and induced anisotropy through incorporation of some tensorial measures which reflect the evolution of material microstructure. His industrial experience includes consulting in the areas of modeling of mechanical effects of alkali-aggregate reaction in concrete structures, assessment of seismic stability of hydraulic structures, and more recently - analysis of nuclear containment structures. In 1998 he graduated from the Aristotle University of Thessaloniki (AUTH) Department of Civil Engineering, Geotechnical Engineering Department. 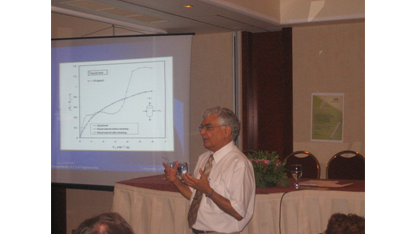 In 2003 reach his Ph.D. from the Aristotle University of Thessaloniki (AUTH) Department of Geotechnical Engineering on the finite elements development. In 2005 joined the Research Department of the Centre for Civil & Computational Engineering, Swansea University mainly for the development of the finite element method. Reviewer in the scientific journal Computers & Geotecnics and has published numerous papers on the finite element method mainly on tunnelling and coupled problems. He has developed the finite element software for soil elsa and the last interest is the development of Artificial Constitutive Models. He has participated in studies of large-scale projects like the Metro in Athens, the Olympic Venues and the Egnatia high way. Since 2005 he is running his consulting & Construction Company for public works. 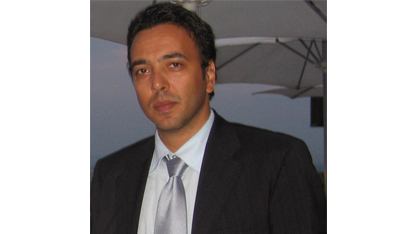 He is a member of the International Geosynthetic Society (IGS), the Technical Chamber of Greece, the Hellenic Scientific Society of soil mechanics Foundations and Geotechnical Engineering.